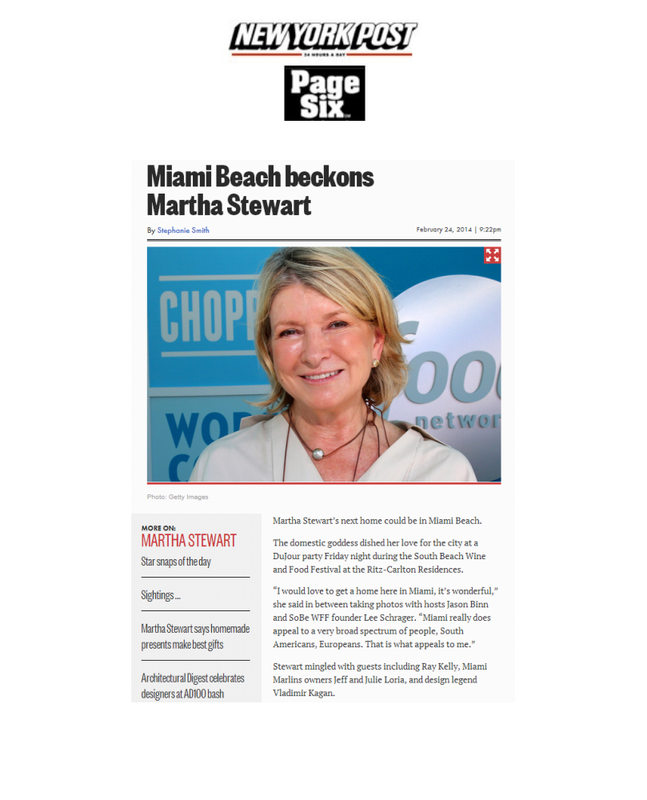 Martha Stewart’s next home could be in Miami Beach. The domestic goddess dished her love for the city at a DuJour party Friday night during the South Beach Wine and Food Festival at the Ritz-Carlton Residences. Stewart mingled with guests including Ray Kelly, Miami Marlins owners Jeff and Julie Loria, and design legend Vladimir Kagan.